Palestine showed enough in two friendlies against Saudi Arabia and Vietnam to calm the fears of many doubters still fretting about Jamal Mahmoud's departure. Palestine were clearly second best against Saudi Arabia in the first half but showed some sparks in the second half. They built on that performance three days later against Vietnam; overpowering their opponents in the second half. The two friendlies did raise some intriguing questions about roster spots. Mahmoud Eid has come out of nowhere and now seems likely to lead the attack for Al-Fida'i in their Asian Cup debut against Japan in Newcastle. Hesham Salhe's energetic performance against Vietnam have many clamoring to an end of the Murad Ismail-Khader Yousef partnership in midfield. Ramzi Saleh (On the Plane): Captain. Unquestioned Starter. 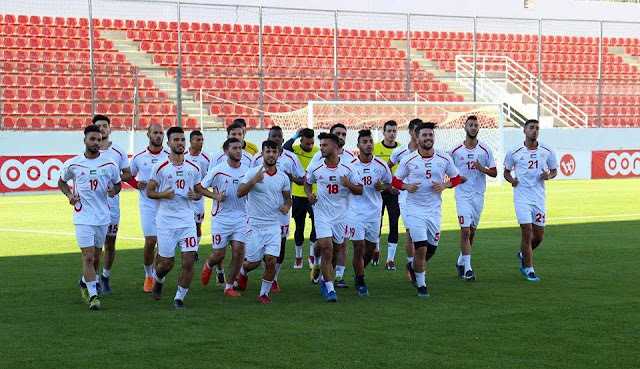 Rami Hammadeh (On the Plane): Palestine could call on a host of veterans to take this role but Hamamdeh's performance during the Asian Games give him the edge. Raed Fares (On the Plane): Hung out to dry against Saudi Arabia but Fares has been the unquestioned starter at right back for nearly two years. 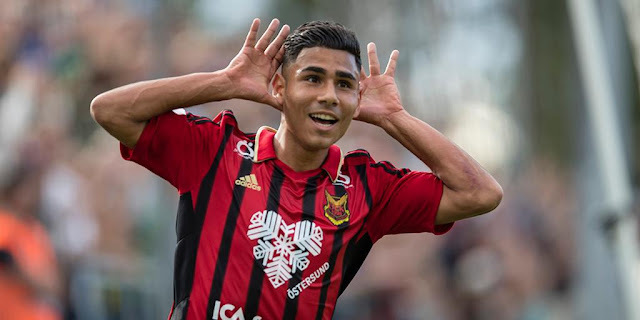 Mus'ab Battat (Probably Going): Young player with a lot of upside- only four caps to his name but has risen to the challenge when given the opportunity. Ahmed Harbi (On the bubble): Harbi is versatile and that could be his greatest asset- he could conceivably play further up the pitch or as a center back. Harbi is working his way back into the squad- playing for an Israeli club for 18 months meant he was exiled in the build up to the Challenge Cup. Abed Jaber (On the Plane): Came out of nowhere to help power Palestine to the Challenge Cup title. Passed litmus test against stiffer opposition (Saudi Arabia) will most likely force Alexis Norambuena to play at right back. Alexis Norambuena (On the Plane): He'll start but the question is: On which flank? Musa Abu Jazar (On the bubble): Can play as a holding midfielder. Did alright as a left back vs. Vietnam but has a catalogue full of horrible games for the national team at that position. Oddly enough he's probably in competition with Ahmed Harbi for a spot on the plane. Ahmed Abdullah (Probably not going): Hasn't featured for Palestine since a May 2013 friendly vs. Qatar- did alright in that game but too many guys ahead of him at this point. Abdelatif Bahdari (On the Plane): Not at his imperious best right now but will travel despite a lack of games for his club side- Al-Wihdat. Haitham Dheeb (On the Plane): The national team makes plans according to his busy work schedule (really). Criminally underrated defender who deserves the opportunity to play abroad and earn a decent paycheck. Javier Cohene (On the Plane): Will most likely force Dheeb to the bench. Fastest center back in the pool- and a threat on set pieces. Daniel Kabir Mustafá (Probably Going): Hasn't played for the national team in 11 months due to club commitments. On club form, though, he's probably the best CB Palestine has. Omar Jarun (On the bubble): Odd man out? Palestine already have Bahdari and Mustafá in the fold- two very similar type defenders. His inability to play against Saudi Arabia and Vietnam this month (he cited personal reasons) means he'll have very little time to make an impression. Tamer Salah (Probably not going): His competent performance versus Vietnam will have earned him a spot in camp (assuming Palestine takes a large contingent) but there are better center backs out there. Khader Yousef (On the Plane): Approaching 50 caps- most capped outfield player in the pool. Murad Ismail (On the Plane): Challenge Cup MVP- capable of putting in a tireless shift in the middle of the pitch. Hesham Salhe (Probably Going): Was a long shot coming into the month. Man of the Match performance versus Vietnam changes that. Houssam Wadi (On the bubble): Sent home after the India friendly- Salhe and maybe even Abu Jazar have the edge at the moment. Mahmoud Sheikhqasem (Probably not going): Has done less in a national team shirt than the other five players ahead of him. Maybe in 2019. Ahmed Meary (Not going): Was in the squad for the October friendlies. Sent home after the India match. 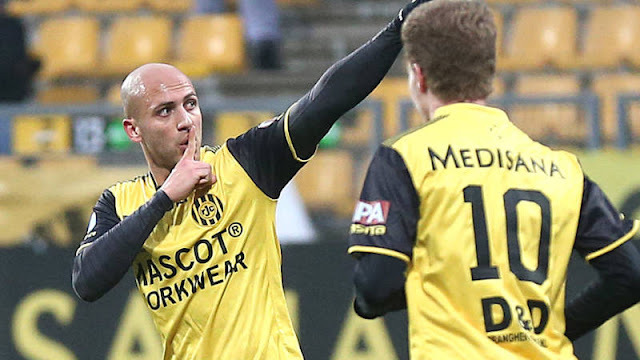 Abdelhamid Abuhabib (On the Plane): Great provider of the final ball- pops up in scoring positions as well. Husam Abu Saleh (Probably Going): Status called into question with a disastrous performance vs. Saudi Arabia. Saved face with cameo vs. Vietnam. Ismail Amour (Probably Going): Imad Zatara is out injured and Amour is showing flashes of his old self- could potentially overtake Abu Saleh in the pecking order. Hilal Musa (On the bubble): Should be on the plane, in my humble opinion; was a conspicuous absence in the last squad list. Adham Abu Rwais (Probably not going): See: Seyam, Tamer. Mahmoud Abuwardeh (Not going): Great prospect for 2019. Imad Zatara (Not going): Injured. Ashraf Nu'man (On the Plane): Only question will be how to best deploy him- as an inverted winger? A roaming attacking mid? Or as a number 9? Mahmoud Eid (On the Plane): Opened up his account vs. Vietnam- fits the system perfectly with his hold up play and physical presence. Imad Khalili (On the bubble): If he ever shows up- he'd be a near certain lock to be in the final 23. Matías Jadue (On the bubble): Struggling for minutes with Antofagasta at Chile and still waiting to make his debut for Al-Fida'i. Scored in penalty shootout that delivered Antofagasta a semifinal berth in the Copa de Chile. Khaled Salem (Probably not going): WBPL clubs have given up on him as a forward. Great physical characteristics but the mental aspect of his game (beating offside traps) still not there.